Tones of blue, grey and earthy brown give this piece a rich texture and intriguing depth. 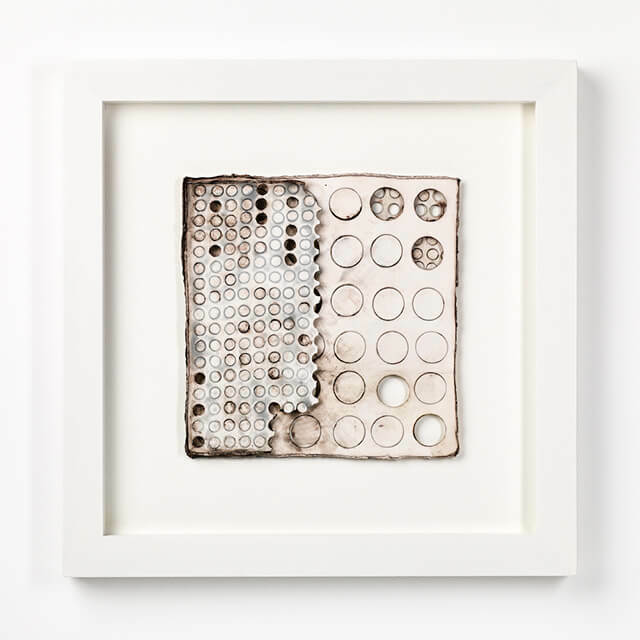 Playing with the relationships between layers in this one -off porcelain composition, Carol Sinclair uses her signature circular motif to explore the themes of connection and memory and create dark and intriguing spaces within the work. Porcelain decorated with slips and oxides. 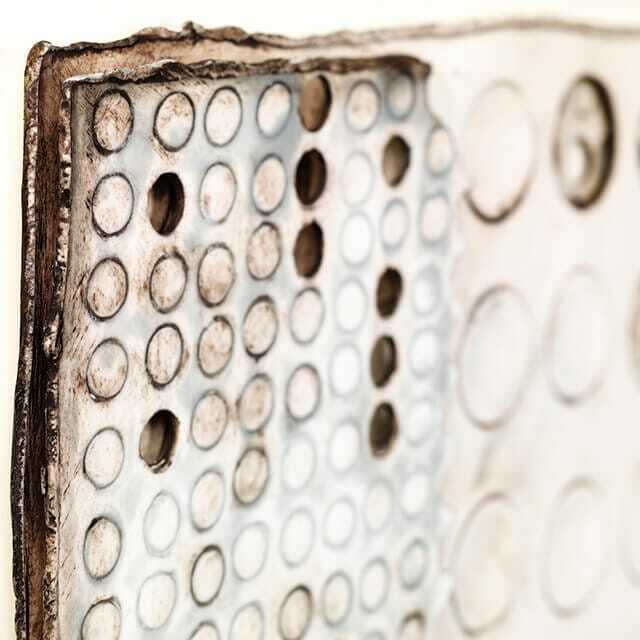 A graduate of Gray's School of Art in Aberdeen, Carol has been working with ceramics for over 25 years. Carol loves the beauty and flexibility of the material and her current favourite is fine white porcelain. 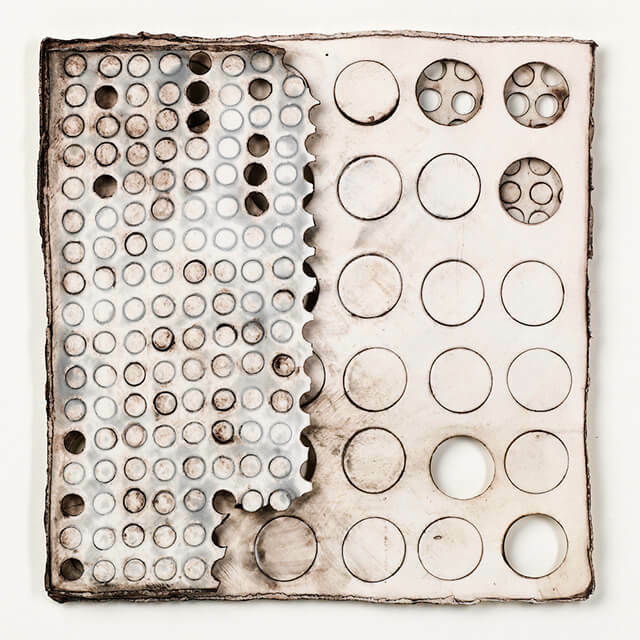 After firing porcelain paper clay at high temperatures she creates thin, delicate and translucent shapes and fragments. Individual pieces of clay are then layered to create larger 3D compositions which respond intriguingly to changes in light and shadow. My work is an intimate response to the fragility of memory and its role in defining who we are. I use the connections between the porcelain layers to express the complexity of our personal connections. And I seek to balance what is present, with the random absences that are created by time. My work is abstract in nature so you can make your own interpretations and find your own meanings.